Burley is one of most loved and versatile species of the nicotiana tabacum strain. 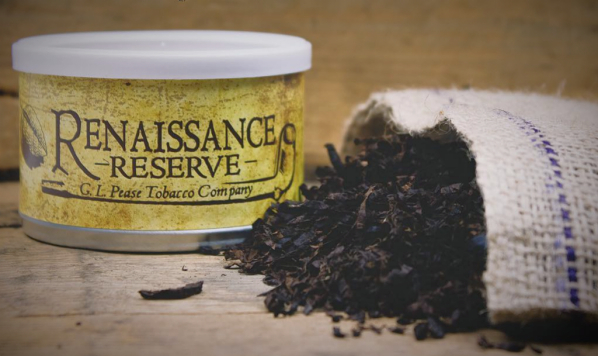 It is used in virtually every kind of tobacco, from snuff and chew to cigarettes and cigars to pipe tobacco. It has the unique property that it is able to absorb flavourings readily and to let those really shine. One of the reasons burley became very popular at the dawn of the “aromatic era” in the 60’s. The leaves of the plant are medium size. It is grown widely from the mid-Atlantic region of the USA, through the South and into the Midwest. Also burley is cultivated in countries like Argentina, Brazil, Canada, Malawi and Mexico. 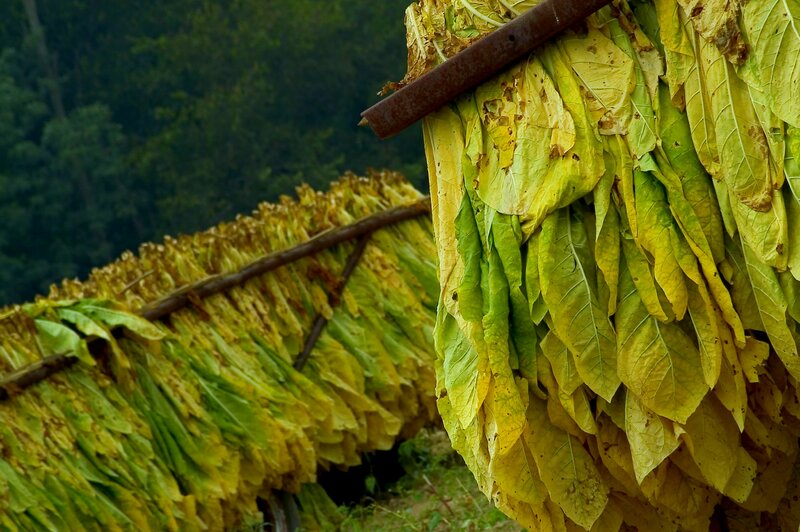 Air Curing: About 90% of all the burley tobacco grown in the USA is air cured. The process is simple: after the tobacco is harvested it is strung on long poles and hung in a barn to dry under natural weather conditions. This air curing process normally takes from four to six weeks. It is completed when the central vein of the leaf is completely free of sap. Light air cured burley: The top grades of light air cured burley, which are yellow, are referred to as “White Burley”. These larger, thinner middle leaves are those most desired for the manufacture of fine pipe tobacco and premium quality cigarettes. White burley has a fine texture, excellent burning qualities and the ability to absorb large amounts of casings and flavourings. 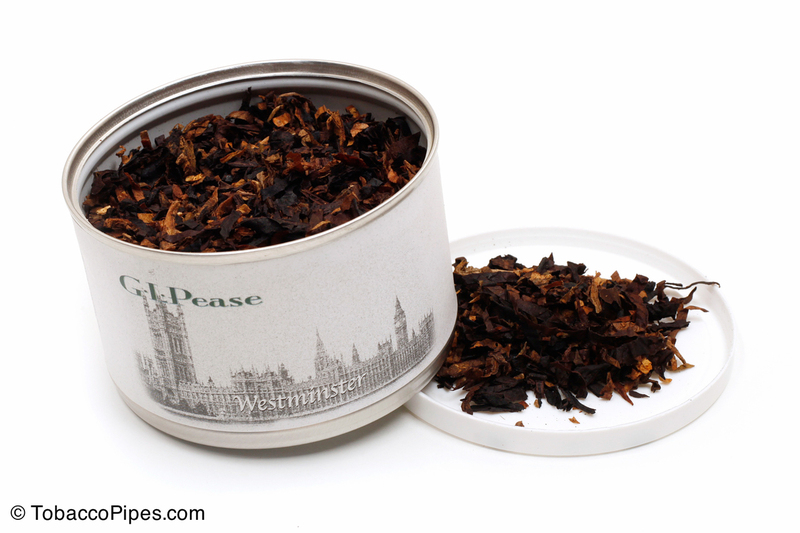 The top and bottom leaves are used in the manufacture of snuff, plugs, twist and inexpensive brands of pipe smoking tobacco. The taste is nutty, sometimes with a bit of a cocoa note. 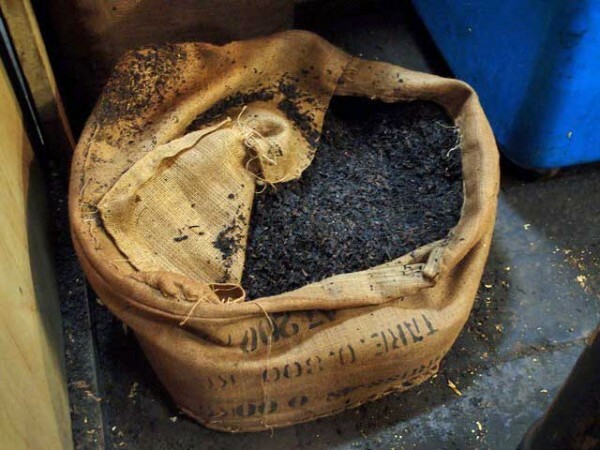 Dark Air cured burley: Used mostly for chewing tobacco, plugs, snuff and inexpensive brands of pipe tobacco. 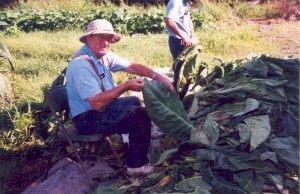 The lower grades (or heavier leaves) are used in some tobacco mixtures to give the tobacco blend more “body”. The taste is earthy, spicy and cigar-like and the colour of the leaves ranges from light to dark brown. 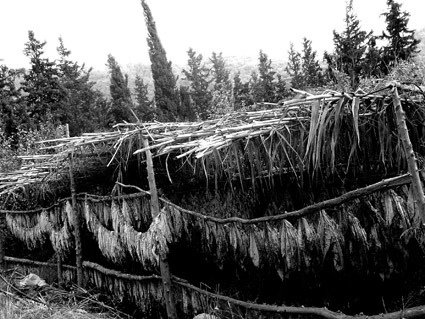 Fire Curing: In the fire curing process the tobacco is also placed on poles and hung in a barn for a period of three to five days. Then slow fires of hardwood and hardwood sawdust are maintained on the barn-floor until the tobacco is completely dry. The process can take as long as forty days if the weather is very damp. 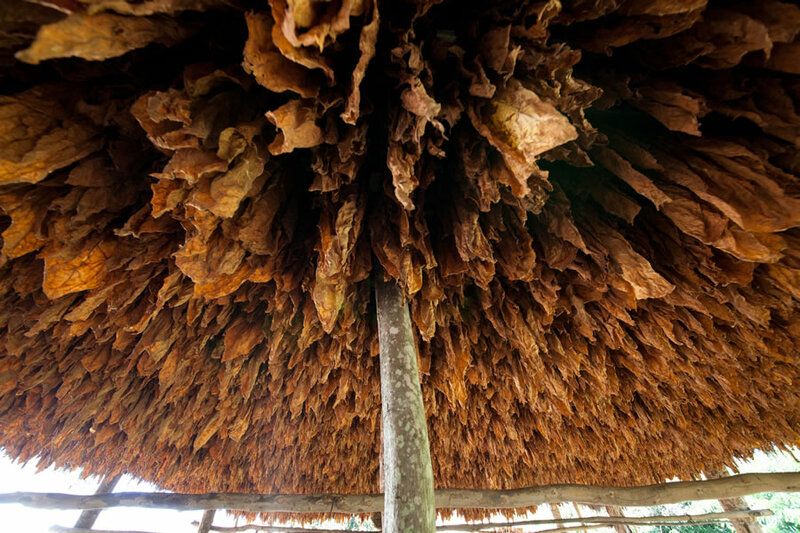 In addition to drying the tobacco, the fire curing process imparts an unusual smoky taste and aroma to the tobacco. Most fire cured burley comes from southern Kentucky and northern Tennessee. 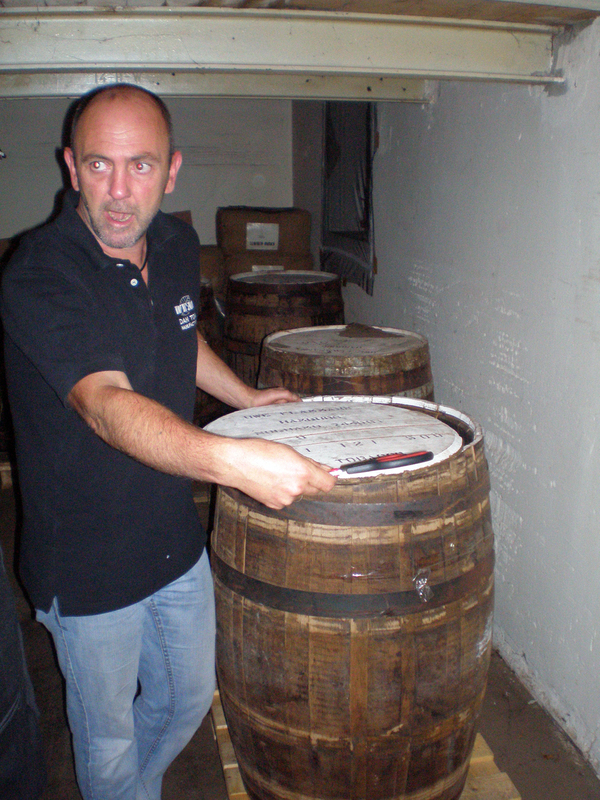 Fire Cured Burley: Usually referred to as “Kentucky Burley”. Its production is essentially for the same use as dark air cured burley. The taste is earthy, spicy and cigar-like with a slightly smoky aroma. The origin of white burley tobacco is credited to George Webb and Joseph Fore in 1864. They grew it on the farm of one captain Frederick Kautz near Higginsport, Ohio. Seed was used from Bracken County, Kentucky. The captain noticed a different type of light leaf shaded from white to yellow was grown. By 1866, he harvested 20,000 pounds of burley and sold it in 1867 at the St. Louis Fair for $58 per hundred pounds. 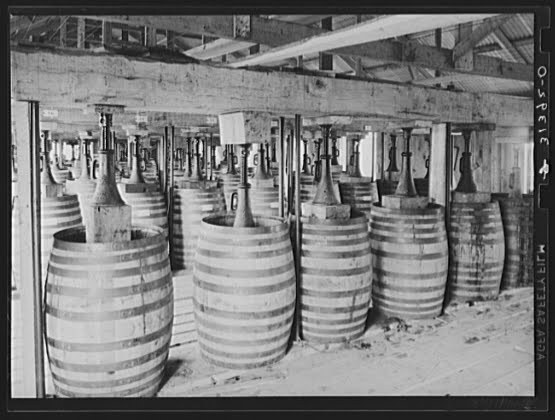 In 1880 Kentucky produced 36 percent of the total USA tobacco production. First in the country with nearly twice as much tobacco produced as by Virginia. For me a downside of burley is that it contains a lot of the ol’ lady nicotine. I do not know much about chemistry but I shall try to explain it.. Burley has an alkaline nature (which means that the smoke tends to have a pH above 7). And one of the things that will cause the body to absorb nicotine more and more is an alkaline (or basic) matrix. Which makes sense if you realize that nicotine belongs to a group called alkaloids (morphine also belongs to that group). 1. Drink lots of water (8 glasses if you can stomach it) or other healthy beverages (no not beer you Belgium folks!). 2. Take some extra vitamins. They are good for you! Especially if you are trying to clear your body of nicotine. In particular vitamin C is an antioxidant that is known to help in this process. 3. Exercise! Working up a sweat will burn a good deal of those nasty nicotine toxins out of your body. 4. Eat or drink something sweet. Smoking anything high in nicotine will cause your blood sugar to initially rise and then drop. That drop is what causes most of the nicotine issues. 5. Lie on bed and wait for the sickness to pass. After 40 minutes the nicotine loses half of its effect. The alkalinity of burley has an additional effect: the possibility of tongue bite. Of all the different types of tobaccos, the one most likely to cause bite is Burley. However, it is important to understand that tongue bite is a biochemical reaction. Not to be confused with “leather tongue”, what you might get from smoking too much or too hot. When tongue bite attacks, it feels almost like a muscle cramp. The reaction is caused by the high pH of the smoke and because of that having something to drink that is somewhat acidic (like a dry wine or a soda) can help to lessen the discomfort. Master-blender Steven Books in action. As far as blending goes, little or no sugar is found in the chemical composition of burley. That enables it to absorb great quantities of flavourings or casings. 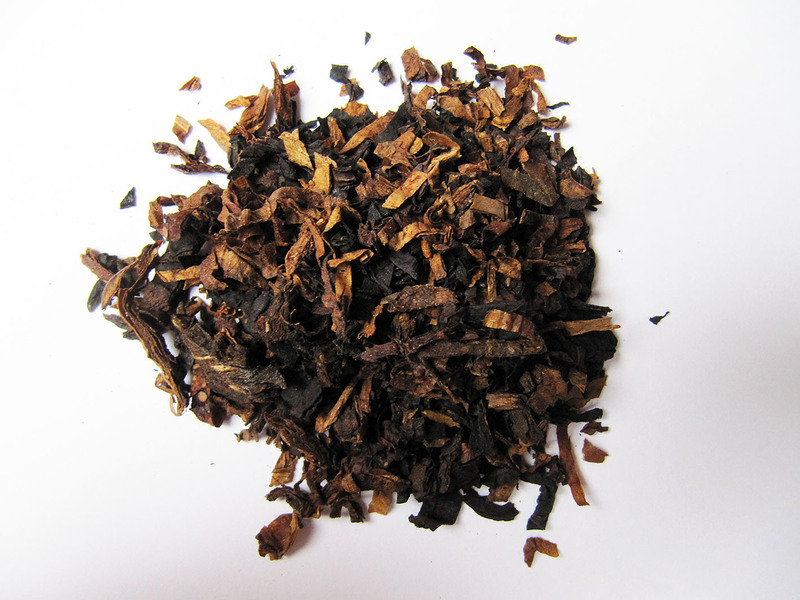 Also, because of the neutral taste and aroma of burley, it blends quite easily with all types of tobaccos. It assumes the taste and aroma of the tobacco or the flavourings with which it is blended. If you would like to lighten a blend you could use some white burley, which will add a bit of sour nuttiness (like a walnut). Dark burley (air and fire-cured) will add a spicy note and maybe a touch of a cigar-like flavor along with a fair amount of vitamin N. So beware if you are a nicotine wuss like me! One of the most versatile tobacco leafs is Virgina, also known as the “bright leaf”. It is used for example in latakia blends and aromatics, gets mixed with Perique but can also stand perfectly on its own. This tobacco goes back a loooooong time. It was Sir Walter Raleigh who took the first Virginia tobacco to Europe in 1578. He referred to it as tobah. 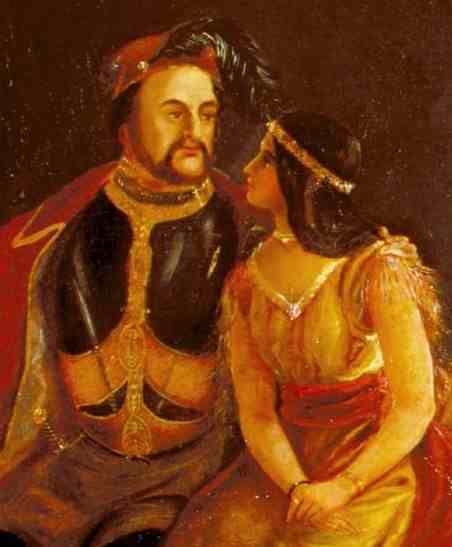 Then, In 1609, John Rolfe set foot in Jamestown, Virginia. He is credited as the first settler to have successfully grown tobacco for commercial use. But most people know him as the husband of Pocahontas. Yes, from the Disney movie. Go and tell THAT to your kids. The tobacco grown in Virginia at that time, Nicotiana rustica, was used by the Chesapeake Indians in their religious ceremonies. The English settlers tried to sell some of this tobacco in England, but they were unsuccessful. That Virginia had a strong odour and flavour and the English consumers preferred a milder variety. 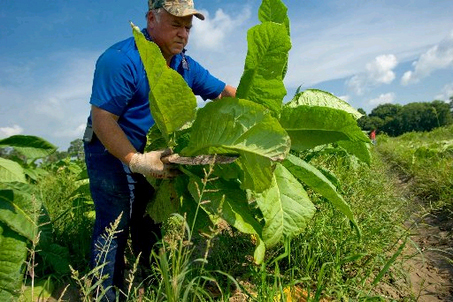 They got just that when in 1614 John Rolfe planted this sweeter tobacco (Nicotiana tabacum) in Virginia. It came from seeds which he brought from Bermuda or Trinidad. 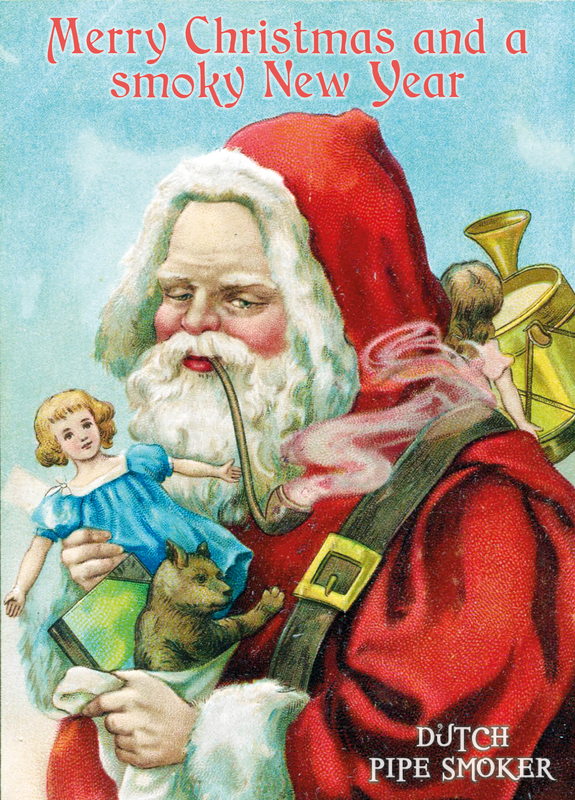 He grew enough to ship four barrels of tobacco to England. 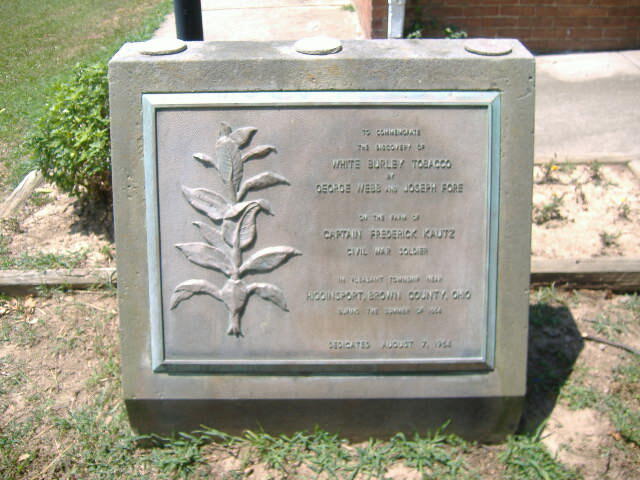 Rolfe’s tobacco sold for a high price and tobacco quickly became the main source of cash for Virginia. In fact, tobacco was used as currency by the Virginia settlers for years and Rolfe was able to make his fortune in farming it for export. The bright leaf that became the favourite of European markets was not discovered until 1839. In that year a slave, Stephen Slade (owned by farmer Abisha Slade from Caswell County NC), accidentally discovered a new flue curing method that turned the leaf a bright yellow. He fell asleep one night while keeping an eye on the wood fires used for curing the barns of tobacco. Whether it was the stormy night, instinct or just what woke him, no one will ever know. But he awoke realizing that the fires in the tobacco curing barn had almost gone out. Rather than throw wet wood into the dying fire, he rushed to the charcoal pit near the forge. He grabbed several charred log parts and threw them on the embers. The application of the sudden, drying heat, derived from the charred logs, produced an amazing effect on the green tobacco. The result was 600 pounds of the brightest yellow tobacco ever seen. By the mid-1850’s, Abisha Slade had emerged as one of the leading educators in the use of charcoal in the curing of bright leaf tobacco. He made many public appearances to share the bright leaf process with other farmers. But the bright leaf is also grown all over the world in countries like Canada, China, Zambia, Tanzania, India, Argentina, Brazil and The Philippines. Because it grows pretty well in poorer soil it is one of the easier plants to cultivate. Beware, the flavour will vary depending upon where it is produced. For example, American Virginia tobacco is quite a lot sweeter than African. 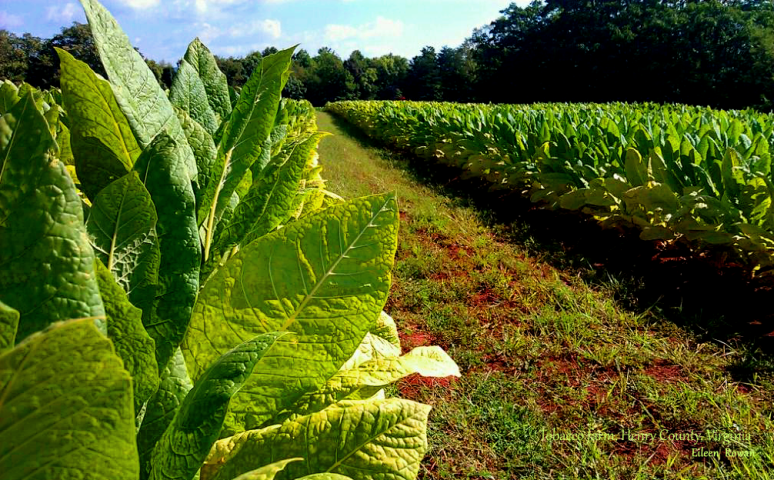 Talking about sweetness, Virginia tobacco has a natural high sugar content. It is not abnormal to find sugar levels of 20% to 25% in the bright leaf. 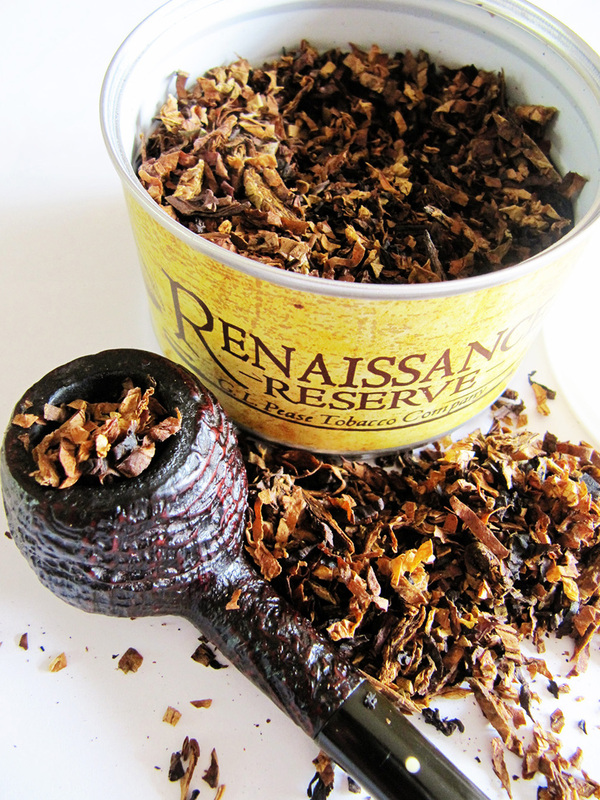 If the tobaccos are cased (like in aromatics) it can be even higher. Because of that higher sugar content Virginia can burn a bit hot. So if you don’t smoke slow you might wind up with a leather tongue.. And exactly that is one of the reasons that Virginia flakes are popular. They slow down the burn rate because the tobacco is tightly packed together. Virginia-Perique blends are also very loved. This because the combination tastes good and the slow and cool burning Perique tames the Virginia heat pretty well. • Yellow Virginia: The most sweet of them all. Lemon to banana yellow in colour. The taste has a citrus-like, acidic sweetness. • Orange Virginia: A bit less sweet then the yellow with a kind of hay-like quality. • Bright Virginia: (A collective term) Most of the times a mixture of yellow and orange with perhaps a bit of red. • Red Virginia: A bread or yeast-like toastiness with a lot less sugar. 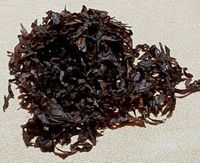 • Brown Virginia: Heat, pressure and ageing are used to deepen the flavour and increase the nicotine content of the leaf. Regarding taste it has a mildly sweet earthiness. • Black Virginia: Yellow Virginia gets roasted on a metal surface until it turns black. This way the sugars are caramelized and you get a bit of a sweet, fruity taste. When creating new blends, Virginia is VERY important. It forms the backbone of a mixture. Very often several types of Virginia are used within 1 blend, also in different cuts. For example, HH Mature Virginia from MacBaren contains 15 different types of the bright leaf. So if you make a new mixture, be sure that the Virginia part of it tastes good. 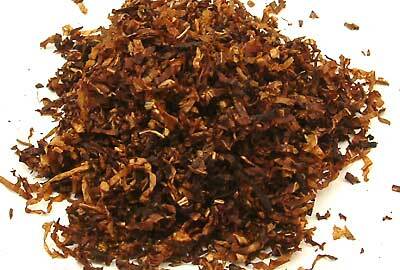 Then when you are satisfied you can add other tobaccos like latakia, orientals etc. 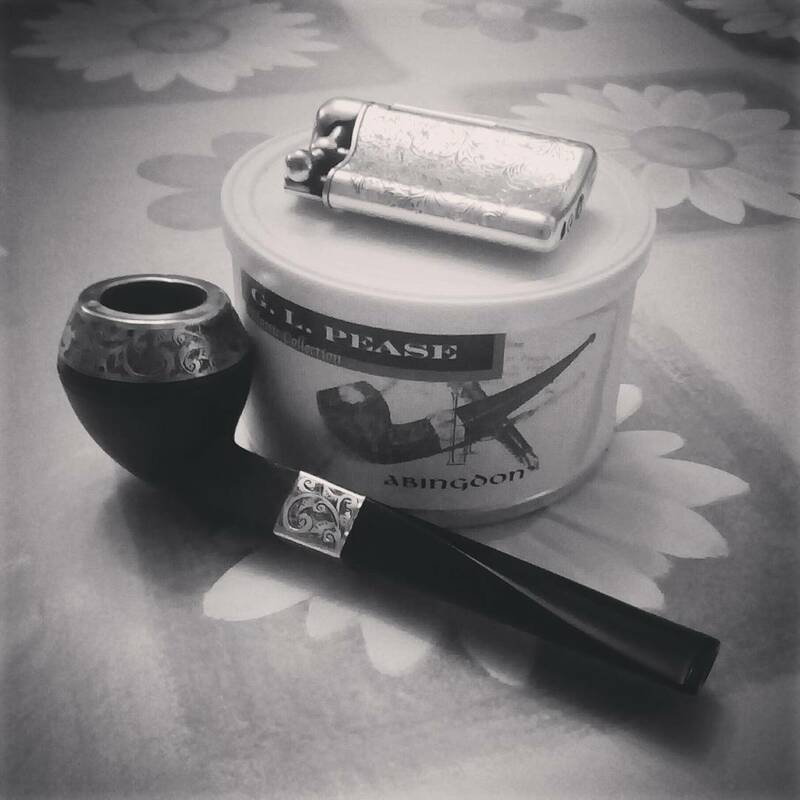 The first half year that I smoked pipe I was looking for a shape that appealed to me. One that was able to make my favourite latakia mixtures shine. I found it in the Prince of Wales (or in short “prince”) shape pipe. Before I mostly used full bents. They hung comfortably in my mouth, smoked pretty good, I was satisfied. Until the point that I smoked blends with latakia more and more. I got the feeling I did not got the maximum out of those mixtures. And that frustrated me. What is the point of smoking excellent tobaccos when you can’t get the most out of them?? 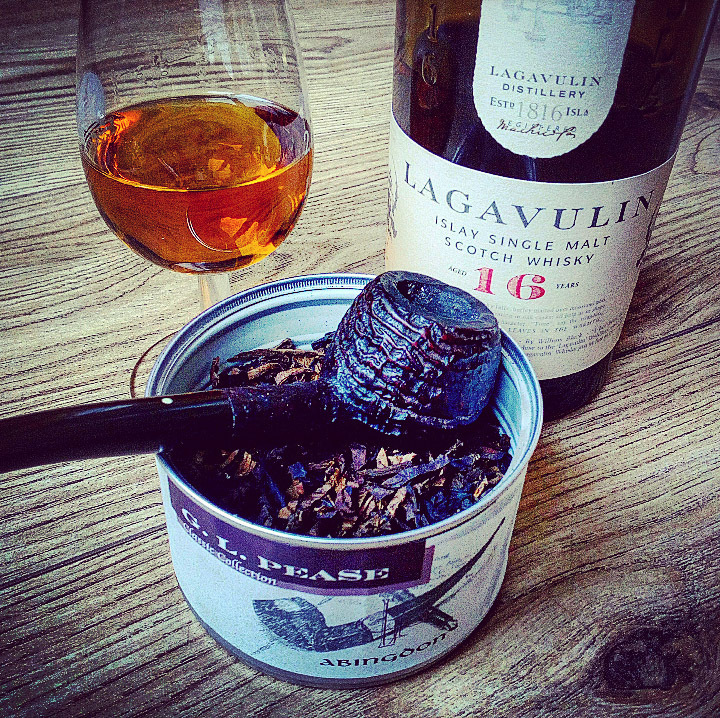 Then I stumbled upon an article by the famous pipe blogger Neill Archer Roan: Finding That Magic Fit Between Pipe and Tobacco. 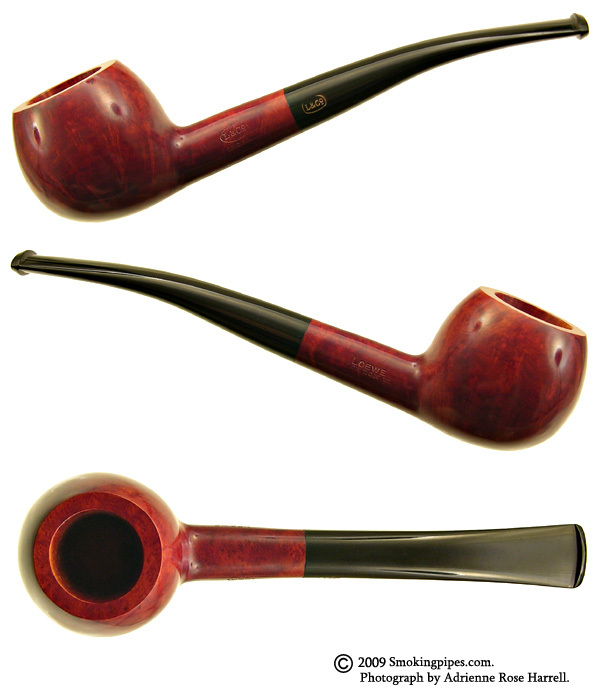 In short, the complexity and tastefulness of English/Balkan blends is amplified in pot and prince shaped pipes. Those have square tobacco chambers which are most of the times more broad than for instance billiards. Because of that broadness there is more tobacco-surface that burns at once. That means more flavour. 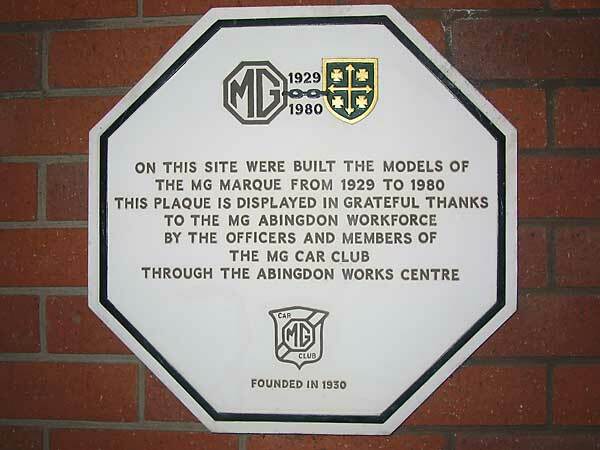 This was also acknowledged by the old owner of De Graaff. Once one of the most famous Dutch tobacco shops. The man (apparently a walking pipe and tobacco encyclopaedia) always smoked latakia mixtures from a pot. Yes, which has the same smoking characteristics as a prince. But I prefer a prince above a pot. This because of the more elegant shape. 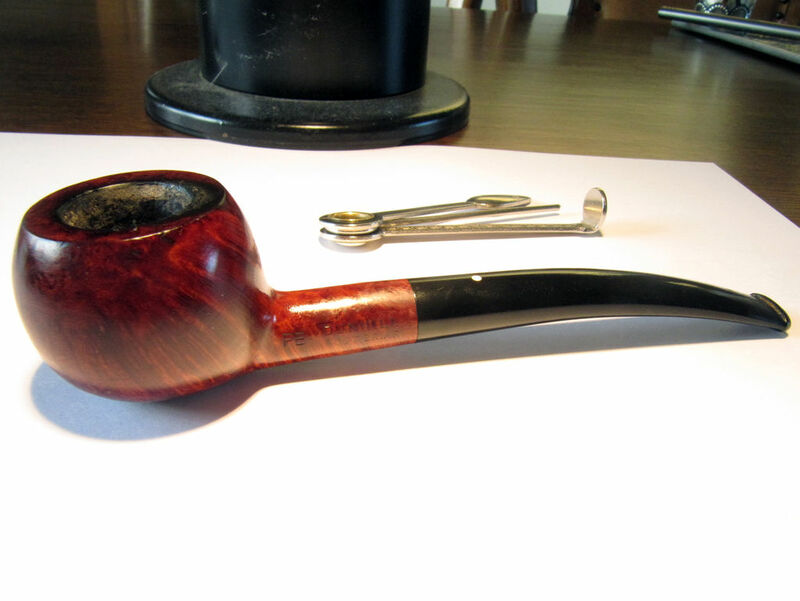 Pot pipes are often straight and I still like a slight bend in the mouthpiece. 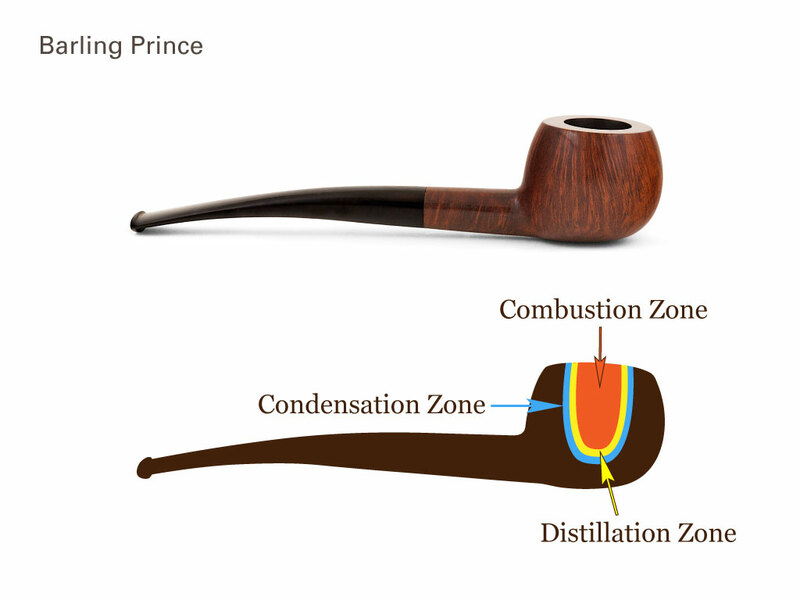 In contrary to common belief the prince shape was not designed by Dunhill, but by Loewe & Co. An old name in British pipe making, similar to brands like Comoy, BBB and GBD. 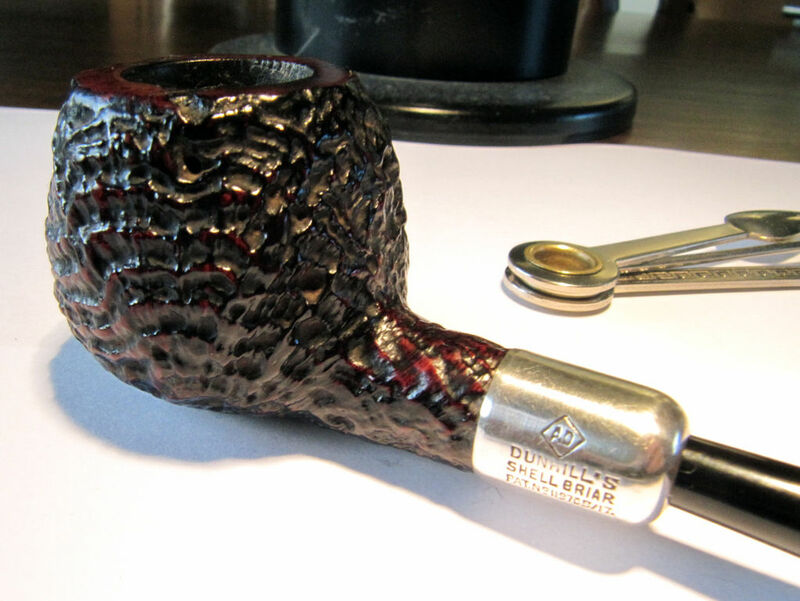 It is said that Emil Loewe (a Frenchmen by origin) was the first to make pipes made from briar in England. Most of the customers in his shop were theatre people from the West End who liked the elegance in his pipes. 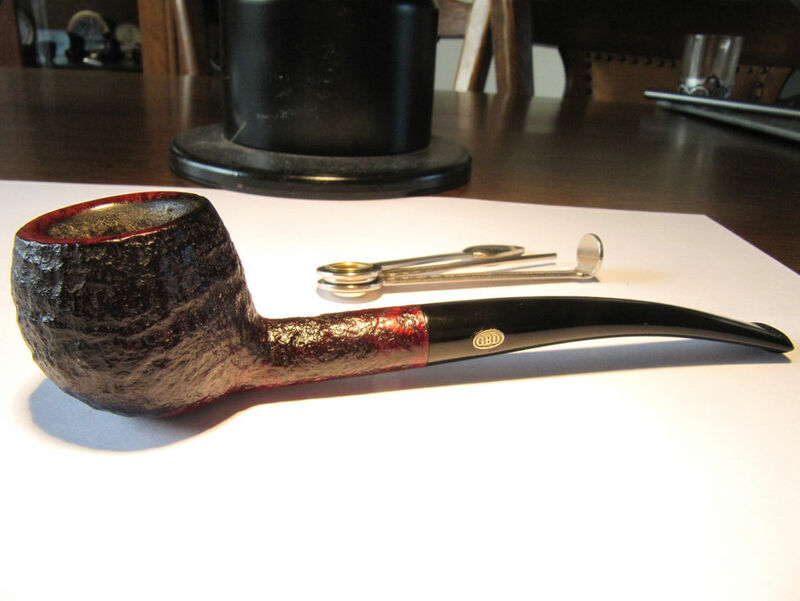 In the 1920’s he designed a pipe for Edward, the then Prince of Wales (hence the pipe-shape name “prince”). Who later became Edward VIII and finally was the Duke of Windsor. The shape is a statement of the stylishness of the period. During the reign of his father (also a heavy smoker) Edward was a leading socialite of the 1920’s and 1930’s. The epitome of the elegance of the period. Befitting his royal stature, nothing he owned was less than first class. His taste was impeccable. 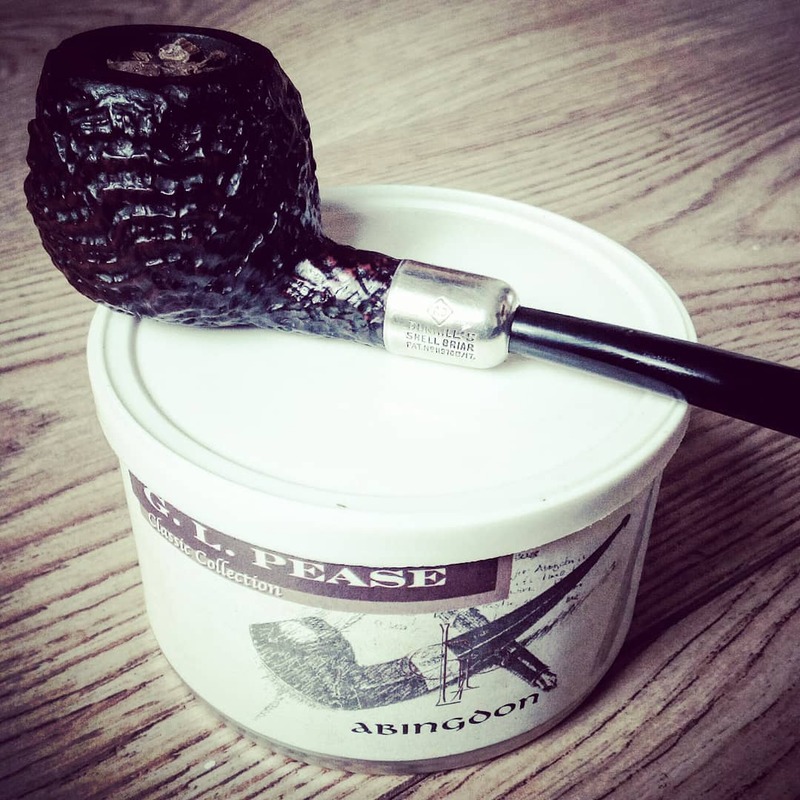 At least, that is the story..
My story continues when I asked on the Dutch pipesmokers forum if anyone had a prince shaped pipe and was willing to sell it. One member replied and for a measly sum I was able to buy my first prince. 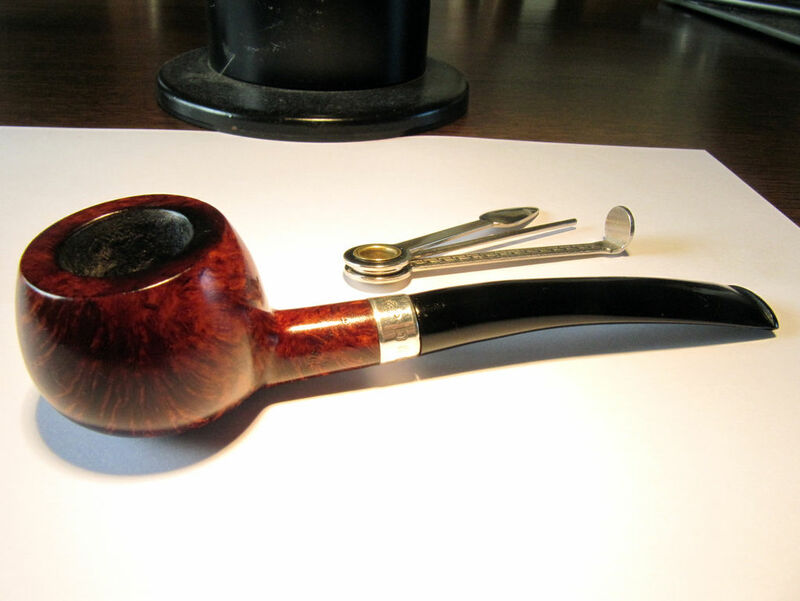 It was a Rossi with two smoking channels in the mouthpiece which made it hell to clean.. The sole reason I sold it some time ago. But the pipe smoked very good! Finally I had the idea I was getting more out of my tobaccos. 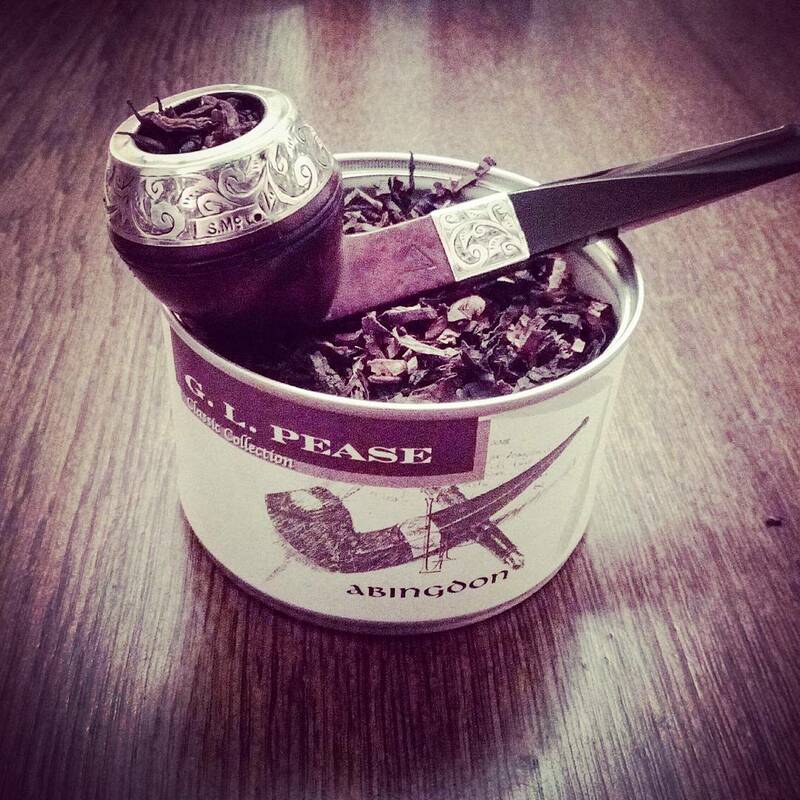 But when proper used you can smoke a pipe only once a day. So I desperately needed a second one. 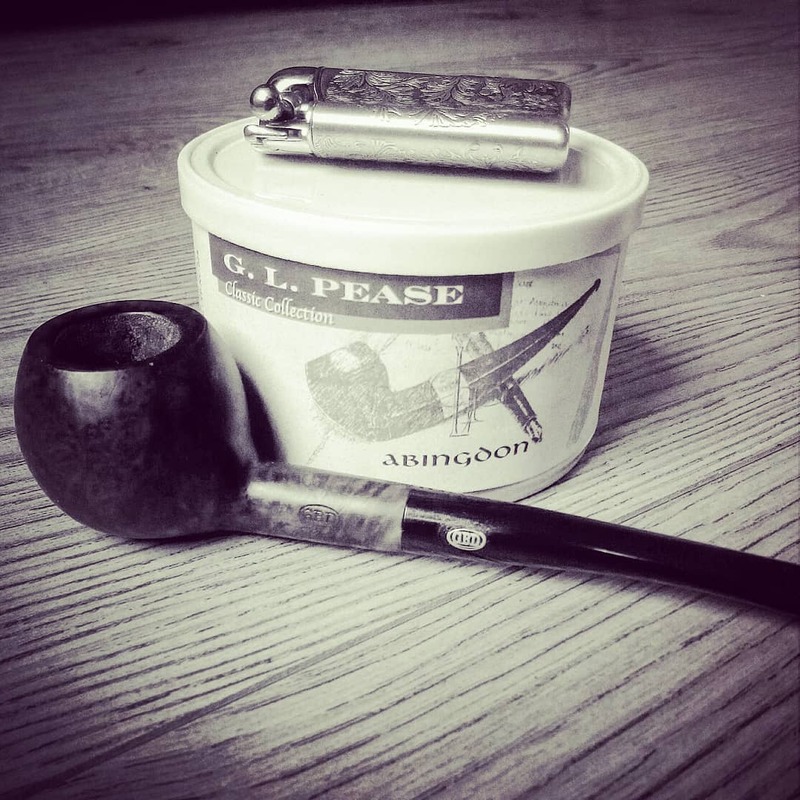 I had read once that Mr. Pease liked the GBD brand much. So after a short search on e-bay I luckily found a GBD New Standard prince from the ’70’s. 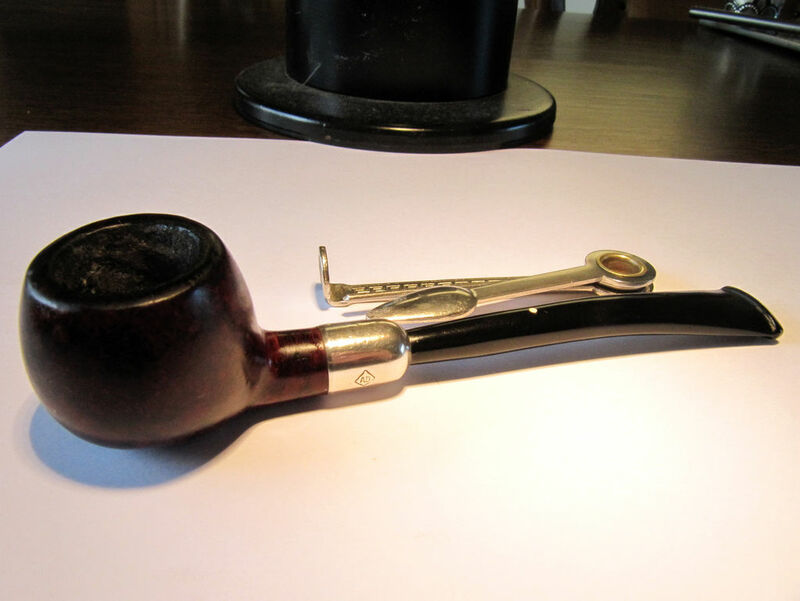 This one I still have and is one of my favourite pipes. It tastes amazing, especially with Abingdon. The only downside is that it smokes wet. But nothing a pipe cleaner can’t fix. 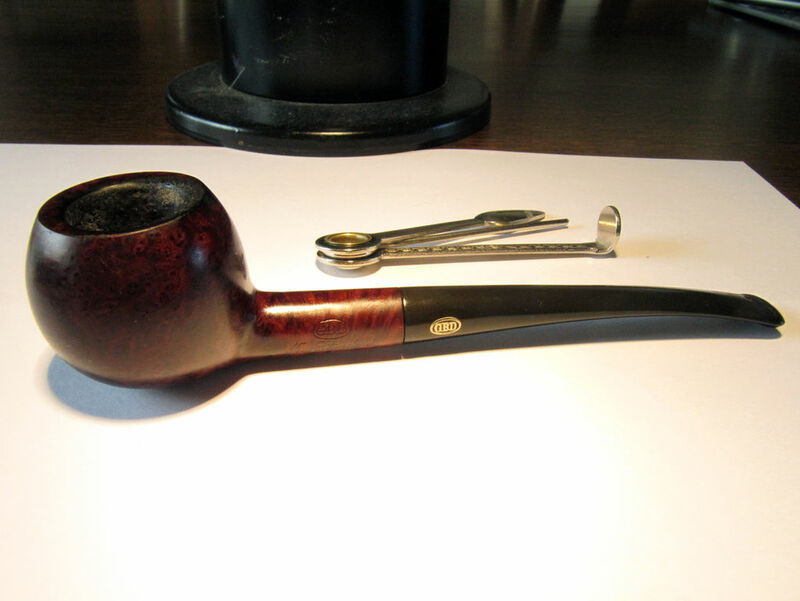 From there I bought more and more prince shaped pipes and I fell in love with the Dunhill brand. 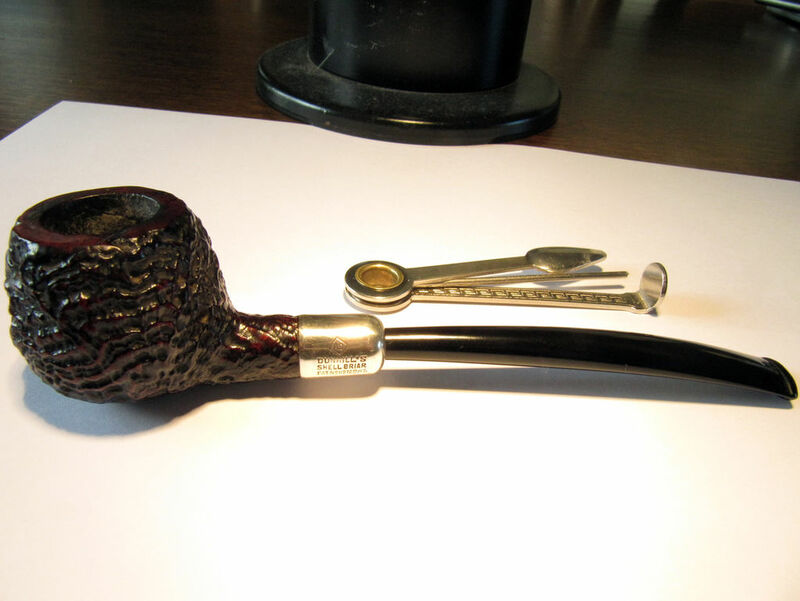 For me the epitome of the prince pipe is an army mount Dunhill shell briar from the patent era. And a few months ago I managed to acquire one on e-bay! Not easy because 1. they only sporadically become available and 2. are VERY expensive. But being Dutch (read: cheap hehehe) I managed to get it for a really good price. I just got lucky that I bought it from someone who did not know much about pipes. 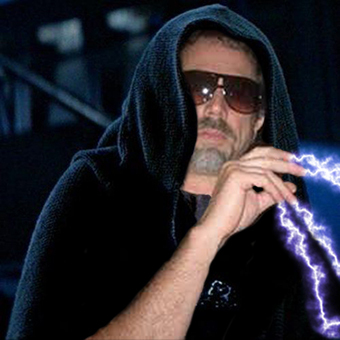 All hail to the pipe-smoke God. In my blogpost “Latakia Lover” I described Syrian latakia. What I did not tell was that nowadays it is an almost extinct type of tobacco. For years Syrian latakia had been used in cigarettes and pipe tobacco. But it was taking its toll on the Syrian environment. Native hardwood and shrubs were used to fire-cure the shekk-el-bint leaves. Unfortunately there weren’t much farmable grounds in the area. Because of this natural resources were being used and consumed FAST. Also during the period 1850 – 1950 extreme damage to the forests in Syria was done. First by the construction of the Baghdad and Hedjaz railways, both were still operated with wood for fuel during WWI. Later from the ravages of WWII during which forest fires were purposefully set as a protest against the controlling foreign regime. So the Syrian government decided to place a moratorium (a what?? A delay or suspension of an activity) on the production of latakia in 1960. “But I smoked Balkan Sobranie and other mixtures which contained Syrian latakia in the 60’s and 70’s!” some of the old pipe smokers would say. Yes that is true. Most tobacco companies had hoarded the stuff so it was only around the beginning of the 80’s that they ran out of it. Some mixtures survived this by gradually switching from Syrian to Cyprian latakia. Somewhere during the 80’s the Syrian government lifted the moratorium and to some extent the production was resumed. But it never came close to the amounts of the pre-1960 era. The demand was lower because there were less pipe smokers. On top of that Syrian latakia had to compete with the dark leaf that came from Cyprus. Also a lot of the experienced processors had found another job. As a result the quality of latakia made by other makers became shaky, inconsistent. Luckily at the beginning of the 2000’s a LOT of vintage Syrian latakia became available. So tobacco companies like MacBaren, McClelland and Cornell & Diehl (which includes GL Pease) bought vast amounts of it. 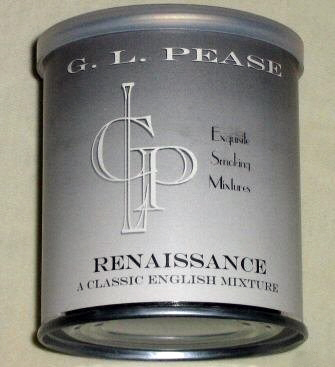 Especially mr. Pease succeeded in making excellent blends with it like Renaissance, Raven’s Wing, Mephisto and Bohemian Scandal. Unfortunately at the end of 2004 the warehouse where the Cornell & Diehl / GL Pease Syrian latakia stock was located burned to the ground. That ended of course all the mixtures in which the Syrian dark leaf was used. But the other tobacco manufacturers that bought into the same batch of vintage Syrian latakia were able to secure their stock. This because their supply was located elsewhere. So those companies still have their part and probably it will last for years, it was a lot. But eventually they will run out of it. And it looks like no more Syrian dark leaf is being made because of the relatively low demand, environmental issues and the ongoing civil war. Here I quote mr. Pease himself. A question was asked him if the pipe tobacco industry, latakia specifically, been affected (pricing, quality, or availability) by the current situation in Syria: I spent some time on the telephone with the major oriental leaf broker in the US to get a definitive answer to this question, and it’s not a happy one. The simple fact is that Latakia has not been grown and manufactured in Syria now for over ten years. What there is of it in warehouses is all there is, and very likely, is all there ever will be. The vintage leaf that we lost in the fire was very, very special. A couple of manufacturers still have some supplies of that leaf, but when it’s gone, it’s gone. Further, I’ve tasted a lot of blends claiming to contain Syrian Latakia, but you couldn’t prove it by me. It’s possible that they’re adding a few shreds of the stuff in order to stay within the letter of any laws that may exist, but their overall flavor and aroma is clearly that of Cypriot leaf. I cannot speak to the blends produced by most manufacturers, but I’ve had conversations with friends at McClelland and MacBaren, and can say without a doubt that they are, indeed, using vintage Syrian Latakia where they claim to be, so if you enjoy the blends they’re making with it, you’re still in luck, at least for the time being. But, enjoy it while it lasts; when it’s gone, it’s gone. – None, there are no blends left with a considerable amount of the real Syrian dark leaf. Perhaps there are blenders who still have some shreds left, mix them with a huge load of Cyprian latakia and call it Syrian, I don’t know. It surely will not taste like original Syrian. See my list of updates below for more information. EDIT 07-04-2013: I heard from a very reliable source that German tobacco producers Kohlhase & Kopp and DTM (both also producers of HU Tobacco) sadly no longer have Syrian latakia. Because of this I have removed all HU tobacco and Kohlhase & Kopp (Ashton and Solani) blends from the list. 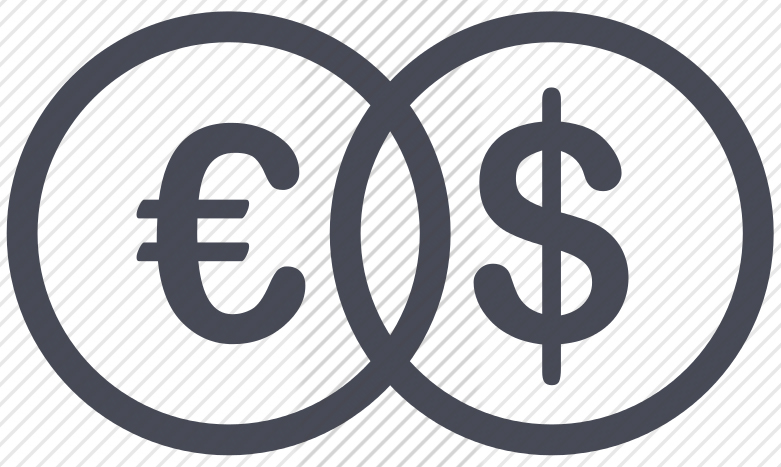 EDIT 04-11-2014: On the 2014 Inter Tabac fair I spoke with Mr. Per Jensen of MacBaren. I was wondering how long the Syrian latakia stock of MacBaren would last that they use for their excellent HH Vintage Syrian. Mr. Jensen very honestly answered that he guessed that in about 7 or 8 years they would run out of the Syrian dark leaf. 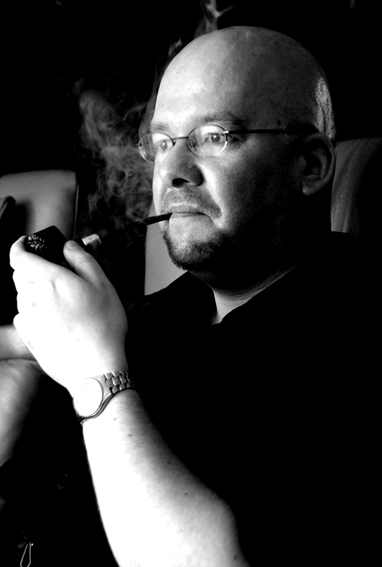 EDIT 08-08-2015: I just read at the Pipes Magazine forum that someone spoke with Per Jensen of MacBaren at the IPCPR and there he said their Syrian stock would last for about 4 years..
EDIT 22-09-2015: Apparently sales of MacBaren’s HH Vintage Syrian are going well. I spoke with Brian Levine on the Inter Tabac some days ago and according to him they will run out of Syrian leaf in about 2 or 3 years. After that the blend will be discontinued. I also dared to ask him if small amounts of Cyprian latakia are mixed with the Syrian dark leaf (there were some rumours..). A resolute “no” followed. Only the size of the tins had changed (from 100 gr. to 50 gr. ), nothing else. EDIT 30-01-2017: From the Facebookpage of Ted Gage: “Syrian tobacco is gone. Used up, done, and gone forever. 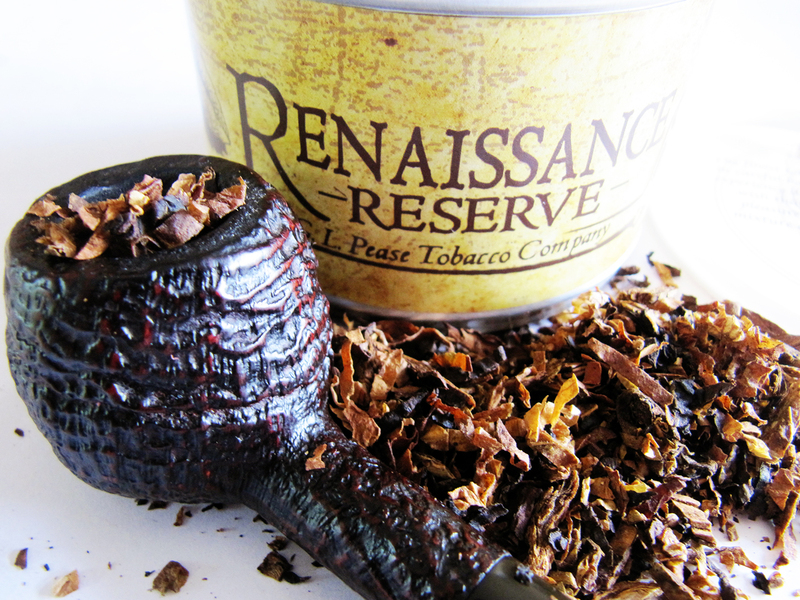 There will be no McClelland Syrian Three Oaks, or other blends using the supply of McClelland Syrian. Bummer, but we knew it was coming eventually.” In a short while I will remove their blends of the list. For now: stock up folks! EDIT 12-03-2017: After a discussion with one of the great names in the pipe smoking world I have decided to remove MacBaren HH Vintage Syrian from the tobacco list. There were rumours before that MacBaren was mixing amounts of Cyprian latakia with the Syrian dark leaf. I already had suspicions some time ago but choose to believe the MacBaren folks and ignore my taste buds. The “great name” with much better taste buds confirmed my old suspicions. 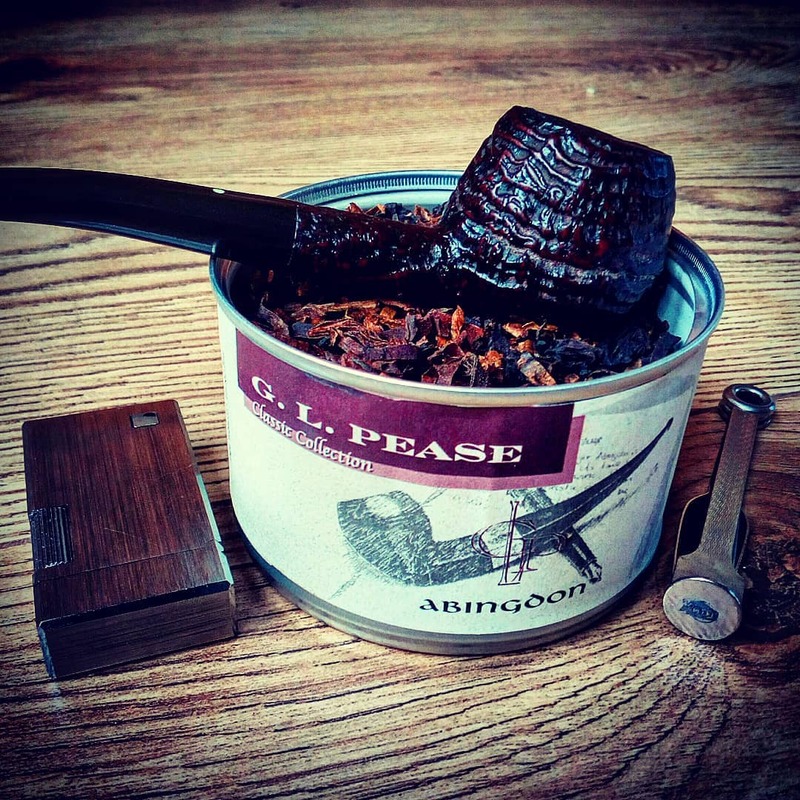 There is a difference in taste between the old tins I have and new ones. Further I have deleted all tobaccos claiming to have Syrian latakia from my list. McClelland had the last real Syrian dark leaf and they have run out of it recently. All other companies who say they still have some stock are lying in my opinion or they have some left-over shreds that they put in the blends to stay within the boundaries of laws. Taste-wise you are not going to notice it. Blends simply sell better with the Syrian latakia label on them. So in short, the Syrian dark leaf is totally gone now. 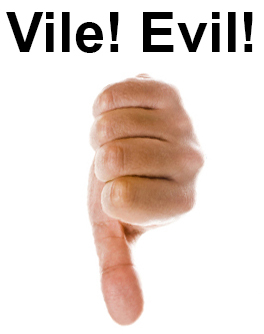 Don’t let anyone or anything fool you and oh, tobacco companies, be honest to your customers. I normally don’t comment on rumours coming from an anonym source, but I will make an exemption in this case. 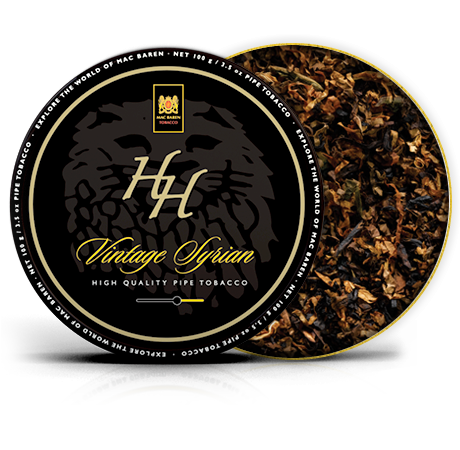 In 2006 I created the HH Vintage Syrian as a single standing tobacco. Since the first making of this blend the recipe has not changed, it is still made after the 2006 recipe with Syrian Latakia. If you compare an older tin with a new one, the taste of the older will of course be slight different due to age. If a pipe smoker perceives this as the newer tin contains a lesser quality tobacco, I would consider this to be a genuine mistake. The HH Vintage Syrian is created like no other Latakia blend, because it also contains Dark Fired Kentucky. In comparison with more “normal” English blends, you will, as pipe smoker, experience another taste in HH Vintage Syrian as in your favourite English blend. HH Vintage Syrian is not your typical English blend and there are so many other good blends out there which will satisfy your taste for Latakia. HH Vintage Syrian was created to be different. However, no matter this discussion HH Vintage Syrian will be leaving soon, as our supply of Syrian Latakia is coming to an end. Latest in February or March next year the last of the HH Vintage Syrian will leave Svendborg, Denmark, so the guy who created it will also be the one to put it down. That HH Vintage Syrian is leaving us, I have stated over and over again, and I have never made it a secret that it would disappear and also when. First of all I want to inform you that of course I stand behind my statement on pipesmagazine.com. As I have mentioned time after time during the years we would be out of Syrian Latakia latest in 2019 to 2020. The reason that we stop the production already in beginning of 2018 has more reasons than one. First our stock is lower than predicted 7 years ago and second we had to destroy some of the Latakia because it did not live up to the standard we demanded. At the time when rumours started about the shortage of Syrian Latakia, we contacted our vast network of tobacco suppliers to hear if they could help us obtaining Syrian Latakia. We managed to get 6 batches from different sources, some small but 2 of batches were bigger. Since then we have blended the different Latakia from Syria in order to get an even taste. At present time the rest of the Syrian Latakia we have is blended out of only 2 different batches where we in the past blended at least 4 different together. So yes, we have been using different batches in HH Vintage Syrian and in February 2018 the book of Syrian Latakia will be closed. So there was a difference after all. In the first years the same batch that Cornell & Diehl and McClelland also bought was used and later on various batches from different sources were mixed together. Of course we don’t know if those leaf brokers who sold MacBaren their later Syrian latakia offered the real stuff. For example, in his Cyprian or Syrian? (Part II) blogpost well known master-blender GL Pease says (amongst other things) this: Since The (warehouse) Fire, there have been more than a few samples of “Syrian Latakia” arriving in my postbox from various suppliers. Some have been no more Syrian than I am. Others have been of such low quality I wouldn’t use the stuff to smoke fish. But for now I am going to give HH Vintage Syrian the benefit of the doubt. I can’t research it any further. Regardless which latakia from whatever quality is used, it is still an excellent smoke. 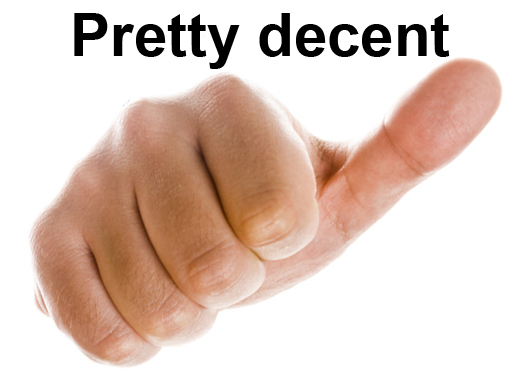 I want to thank Per Jensen for his honest answers and my anonymous expert for his knowledge and expertise. EDIT 05-01-2018: At the end of last year MacBaren master-blender Per Jensen discontinued his HH Vintage Syrian blend as can be seen in one of his Instagram posts. So I removed it from my list.